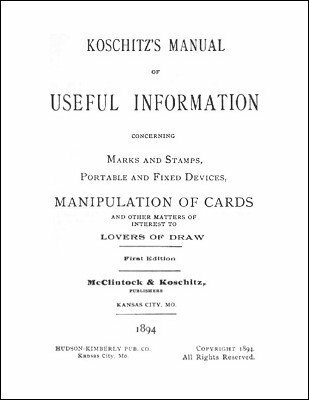 Concerning marks and stamps, portable and fixed devices, manipulation of cards and other matters of interest to lovers of draw. This is one of the better early books on card advantage play. We can be almost certain that Erdnase read this book. Arrangements Of Glass, Pictures, Etc. 1st edition 1894; 1st digital edition 2017, PDF 36 pages.